← How to get number of pages in PDF file by Adobe Acrobat 9 Pro Extended product? What is the difference between PDF Stamp Command Line and COM Component products? We are interested in purchasing your product, however I have a question. We work for XXXXXXX University. We do not have a company credit card. Does your company support the use of Purchase Orders? Please let me know if this is a possibility and we can get process started. We were interested in the PDF Stamp. I am not sure the difference between the Command Line and COM versions. It would be helpful if someone could explain those options more thoroughly. As I stated in my original question we are not able to "simply pay for it on the website" as the university that I work for does support the use of prepayment by credit card. 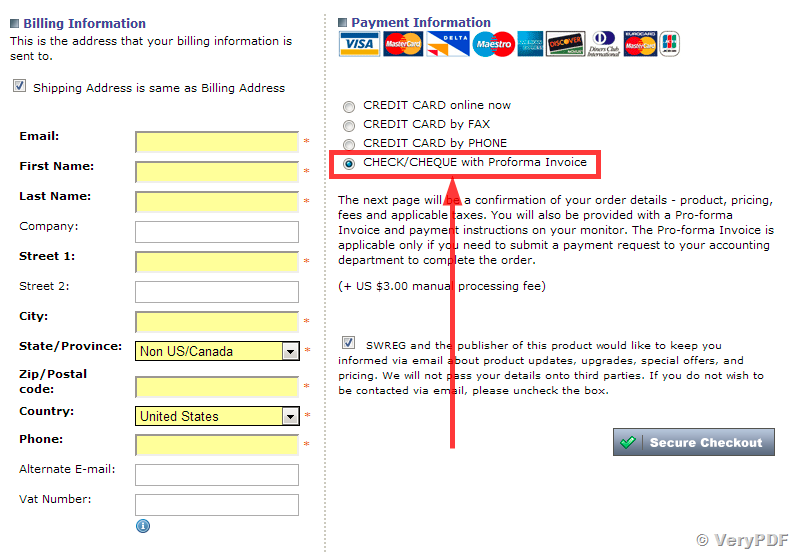 Is there another option for payment such as a Purchase Order or by check? >>We were interested in the PDF Stamp. I am not sure the difference between the Command Line and COM versions. It would be helpful if someone could explain those options more thoroughly. PDFStamp Command Line can be run by manual in CMD window, you can also call it from your code by CreateProcess, exec, shell_exec or similar functions. PDFStamp COM is a DLL Library or COM component for Developers, you can integrate it into your source code and call the functions directly, if you are not a developer, you shouldn't choose PDFStamp COM product, because PDFStamp COM can't be run directly. >>As I stated in my original question we are not able to "simply pay for it on the website" as the university that I work for does support the use of prepayment by credit card. 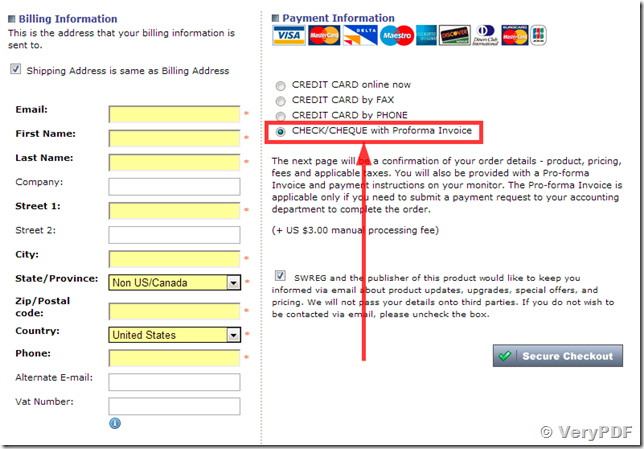 Is there another option for payment such as a Purchase Order or by check? This entry was posted in PDFStamp Command Line and tagged pdf stamp, pdfstamp. Bookmark the permalink.